NEO Subsea AS was founded as an independent company July 1st 2016. The purpose with the company is to do research and product development as well as to provide products and services related to subsea technology. NEO Subsea AS will mainly commercialise technology developed by NorskElektro Optikk AS. NEO Subsea AS is targeting market segments within High-End Optical Underwater Systems for Offshore AUV and ROV use. NEO Subsea AS is collocated with Norsk Elektro Optikk AS in Skedsmo between the centre of Oslo and Oslo Airport Gardermoen (OSL). 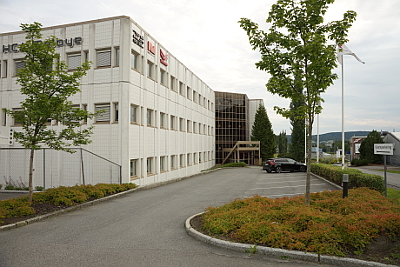 NEO Subsea offices at Skedsmokorset, Norway. 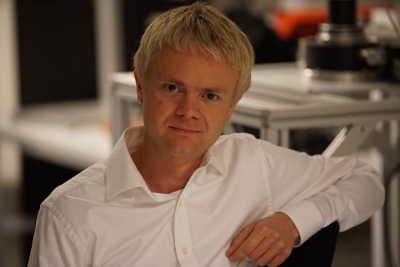 Founder and contact person is Erlend Leirset. Contact info can be found here. Picture of founder Erlend Leirset in the underwater laser lab. NEO Subsea AS can take advantage of the heritage and knowledge accumulated in more than 30 years in Norsk Elektro Optikk AS which, by the way, is the largest investor in NEO Subsea AS. Norsk Elektro Optikk AS was established in 1985 as a privately owned research oriented company within the field of electro optics. The founders had their scientific and technical background from the Norwegian Defence Research Establishment, which for the last 30-40 years have been the leading research organisation in electro optics in Norway. Norsk Elektro Optikk AS has since its start grown to be the largest independent research and development organisation in electro optics in Norway, and has in addition established itself as a manufacturer of advanced electro optical products for an international market. Develop, manufacture and market electro optical products based on in-house technology. Develop and manufacture electro optical products for specific customer requirements. Participate in research oriented projects together with larger companies or research organisations where applications of electro optical methods are essential. The founding of NEO Subsea AS is a cooperation project between Norsk Elektro Optikk AS and external investors to commercialise electro optic underwater technology. The company's wide expertise in electro optics allows it to undertake a wide range of research and development tasks. Main areas of interest have ben applications involving various spectroscopic techniques, the use of lasers, in particular diode lasers, and the use of digital (CCD/CMOS) cameras, both single line and two dimensional cameras. Norsk Elektro Optikk AS has been a pioneer in developing gas monitoring instruments based on spectroscopic techniques utilising the unique spectral properties of tuneable diode lasers. This work has resulted in a completely new and unique range of gas monitoring instruments for a number of applications in industrial process and emission control. The single mode ( i.e. single frequency) characteristics of the diode laser makes it possible to measure the absorption of a particular gas using only one single absorption line, thus avoiding effectively the interference from other gases in the same gas volume, resulting in a highly accurate instrument capable of measuring very low concentration levels when required. The new products have proved to be very competitive, both with respect to performance, reliability and cost, and they are now marketed on the international market by the subsidiary, NEO Monitors AS, through reputable distributors working directly with the end customers with installation and commissioning as well as after sales services including calibration and preventative maintenance. Norsk Elektro Optikk AS has for many years since the last part of the 1980-ties been working on concepts and techniques for spectral imaging, imaging interferometers and hyperspectral cameras. First these activities focused on concepts for the European Space Agency (ESA), starting with instrument for "traditional" satellites, then instruments for small satellites and finally airborne hyperspectral cameras for aerial imaging for non-space use. Today the use of hyperspectral cameras includes applications on aeroplanes, UAVs ("drones") as well as in other inspection or monitoring applications. These other applications can be industrial quality control, agriculture, forestry, environmental monitoring, mining, resource mapping, forensic science, medicine as well as military applications. The hyperspectral imaging activity has now been placed in its own division, the HySpex division. More information on hyperspectral camera can be found on the HySpex web site. In the future exploration of the oil and gas resources in the North Sea we see that more and more of the necessary production equipment will be installed directly on the seabed, thus eliminating the need for the huge and extremely expensive oil rigs and platforms which up until now have been necessary. This is about to generate a growing need for remotely controlled inspection equipment. Norsk Elektro Optikk AS has been involved in underwater optics since the mid. 1980`s. The pioneering work included demonstration of a gated viewing system based on a frequency doubled Nd:YAG Q-switched laser. Cod imaged by Xplisit(left), Simplisit camerahead, Optopig CMOS sensor, electronics and PIG reception, Laser experiment. In the mid-nineties Norsk Elektro Optikk AS developed an underwater pipeline inspection system for external inspection of pipelines named Xplisit. The Xplisit system was based on digital line scan cameras and was mounted on remotely operated vehicles. A natural step from the Xplisit system was an internal pipeline inspection system based on the same principles, namely line scan cameras. The Simplisit system was a self-contained unit comprising line scan cameras, laser illumination sources, storage media and batteries for prolonged operation. The Simplisit system was later replaced by the next generation internal pipeline inspection tool, Optopig. Another system based on the Simplisit technology was "Playit" for use in monitoring the construction phase of new pipelines on-board lay barges. Information on Simplisit and Playit can be found here. A significant amount of work was invested in the development of an innovative new inspection system mainly for natural gas pipelines, Optopig. The Optopig system gives both images and 3D information of the interior of a pipeline and can operate in pressures up to more than 200 bars. Recent systems include TileFish and LaserShark. TileFish is a LED based low power imaging system for underwater use on autonomous underwater vehicles (AUV). LaserShark is a laser based imaging system for use on AUVs and ROVs. More information on these systems can be found on this website since these systems constitute products and technology we in NEO Subsea AS will commercialise. NEO Subsea AS is targeting market segments within High-End Optical Underwater Systems for Offshore AUV and ROV use. NEO Subsea AS is commercialising technology developed by Norsk Elektro Optikk AS. � NEO Subsea AS 2016. All rights reserved.